Snow Festival Super Simple Holiday Class – on the go! 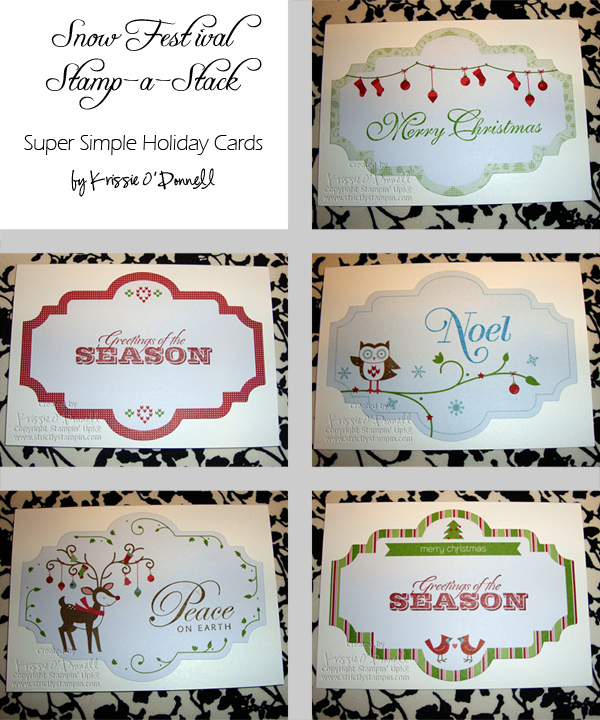 This class on the go includes Snow Festival tags, 20 Note Cards & envelopes, and the stamp set Greetings of the Season (set of 4 holiday greetings) You can choose clear mount or wood mount. All you need to complete these cards are ink and adhesive. Complete them as shown or add your own embellishments to make them your own creative cards.